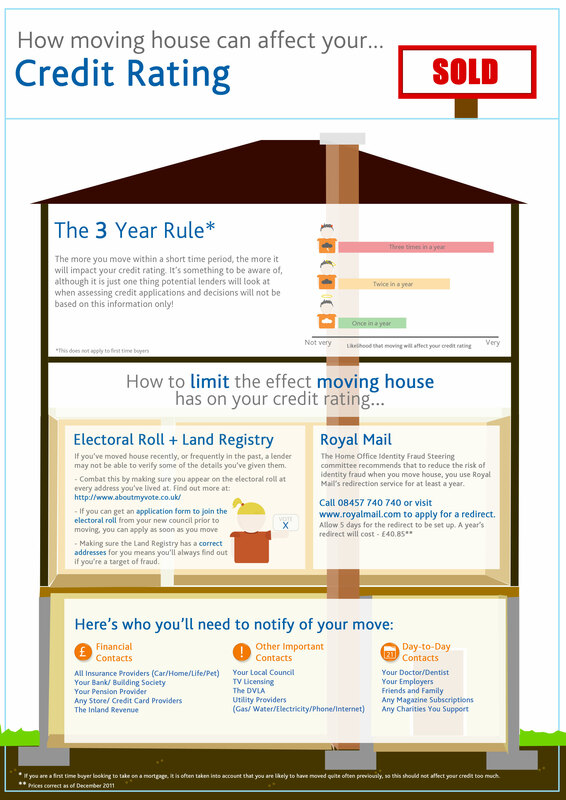 Specialist lender aqua card has today released a graphic which will help home-movers understand the impact that moving house might have on their credit rating, and the steps they can take to minimise the damage. With approximately 534,000 people moving house each year* and only half arranging for their mail to be redirected**, 267,000 new homeowners are at risk of having their credit rating damaged by identity-stealing fraudsters. Experts recognise moving house as being one of life’s major stresses - and that stress is massively increased when having to go through the process of repairing damage to your credit rating, illegally caused by someone else. 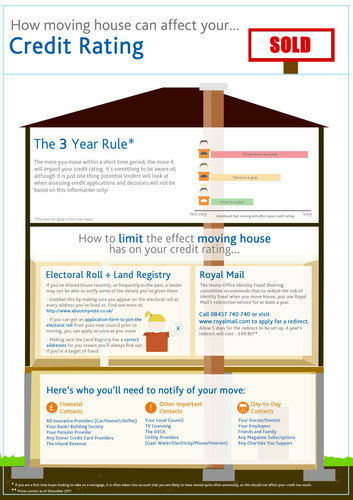 The graphic, which can be viewed online here: http://www.aquacard.co.uk/content/content.aspx?dsid=1075, reminds movers who they need to notify of their address change, including the DVLA, insurance providers and magazine subscriptions. It also gives details of how to set up post redirection with the Royal Mail and why it’s so important to re-register on the electoral role each time they move. aqua hopes that the information will contribute to smoother and less stressful moves, as well as arming homeowners with the knowledge needed to protect their credit score. The graphic’s content has been compiled with the help of the expert finance team at aqua card. For more information on bad credit credit cards and how to repair bad credit visit www.aquacard.co.uk. The infographic was designed by Grant Jennings, a design consultant at Propellernet. This press release was distributed by ResponseSource Press Release Wire on behalf of Propellernet in the following categories: Home & Garden, Personal Finance, Construction & Property, for more information visit https://pressreleasewire.responsesource.com/about.